I Freeze, Turn to Stone began serendipitously. I was given a Fontana edition of Van Gogh’s selected letters by my barber, John (I only know his first name), who is also an artist. Walk into his barber’s shop in and John will have his nose pressed to the pages of a large, dusty book on Caravaggio or he will be painting on large canvases, his work on display for his loyal clients. I’d been reading up on Van Gogh as research for a paper I was about to deliver at a symposium called ‘Doctors and Patients’ at St Anne’s College, Oxford, in March, 2017. This paper was relevant to a book I’d been working on with a co-author, Dr. Emma Storr, on the theme of ‘Artists and their Personal Physicians’. We have subsequently finished a chapter of this book (on the relationship between Vincent van Gogh and Doctor Paul Gachet) and this essay was published in TheFortnightlyReview in January, 2018. For two years I’d been immersed in Van Gogh’s life and work, a life that has enthralled and intrigued many: from Irving Stone and Antonin Artaud to Johanna van Gogh-Bonger and John Berger. There are two thousand extant letters from the painter himself, letters that allow us to follow Van Gogh’s journey as a man and artist, from his birth in Brabant in northern Holland to his sojourns in England, Belgium, Holland, France. On reading the letters given to me by John, I noticed poetic phrases, poetic images, a poetic impulse, the lineaments of poetry if only the phrases and lines were highlighted, linked, and curated as poems to reveal Van Gogh’s hidden talent as a poet. At times, I felt like an archaeologist uncovering something hidden in plain sight, seeing and extracting ribbons of poetry from a wall of prose if only one looked in a certain way, and from a certain distance and angle. What I discovered were not ‘found’ poems. It was more like an encounter. I creatively curated poems from the letters of a painter, who was also a fine writer of prose. If I Freeze, Turn to Stone is to succeed readers will have to consider Van Gogh as a poet. On reading the letters (I eventually read near a thousand) I was never searching for poetry; it was only at those moments when I was struck by bold imagery, or poetic pensées, or prose suited to being developed as couplets, or a sonnet, or a series of tercets; or in reading a line like ‘twilight fallen/twilight shredding itself’, or a phrase such as ‘through a glass, darkly’, which Van Gogh appropriates from his copious readings of the bible, did I intervene and extract what I thought was poetry from the prose. On reading the letters and seeing poems I understood that for Van Gogh painting and literature were the same thing. Quite often the famous paintings known to us began as words, descriptive, pictorial words written in letters to his brother, Theo, about what he was painting, or about to paint. Van Gogh wrote in French and English and Dutch, so these poems have been inspired by, and curated with the help of, assured, sensitive, and exquisite translations (acknowledged in the pamphlet). The poems follow the narrative logic of the letters and the trajectory of his short and tragic life. All words are Van Gogh’s, chronological as they appear in his correspondence, albeit chronologically abridged and presented in a range of styles and forms. The poems highlight the poetic centre of Van Gogh’s thoughts, his uniquely dramatic phrasing, the natural use of incremental repetition and potent use of metaphor; the critical points in his life journey, his love of lists, his loves and losses, his philosophy expressed in a range of poetic tropes, and encapsulated in a poetic framework. The poems ‒ descriptive, imagist, expressionist, occasionally symbolic, often list-like, perhaps neo-modern (or post-impressionist?) ‒ reveal how regularly the source of Van Gogh’s art began with words. The descriptions of his paintings are like poetry as still life; words, literature, poetry, hanging like paintings on the page, the writing paper a drafting stage or rehearsal for paintings that were filling his mind. The impulse of the pen, the heart of his imagination, expressed both in paintings and in beautifully written and heartfelt poetic prose, are here distilled into an essence—poems given titles, lineation, rhythm, form, white space surrounding the words, language as verbal paintings, the poetry in the prose shining through. I am aware of Fiona Benson’s creatively passionate and moving poems regarding Van Gogh published in her Faber New Poets’ pamphlet and included in her first collection Bright Travellers, and more recently (and latterly) Tim Dooley’s poised and textured experiment in Weemoed (a flemish word for melancholy), where Dooley is in dialogue with some of the narratives in Van Gogh’s letters, partly commenting on the subject matter as an omniscient, contemporary poet and partly writing in the voice of Van Gogh. And there are a few other writers who write ekphrastic poems inspired by the paintings, or write poems entirely imagining they are Van Gogh. a sailor is thrown out of a brothel. I’ve pinned up Japanese prints. I am glad I came here. I’ve acquired a stove, a lamp. xxxxxxxxxxxxxxxxxan infinitely beautiful thing to do. Anthony Costello is a gardener, editor and writer. His first poetry collection,The Mask, was published by Lapwing Publications in 2014. His second, Angles & Visions, was published in 2016. 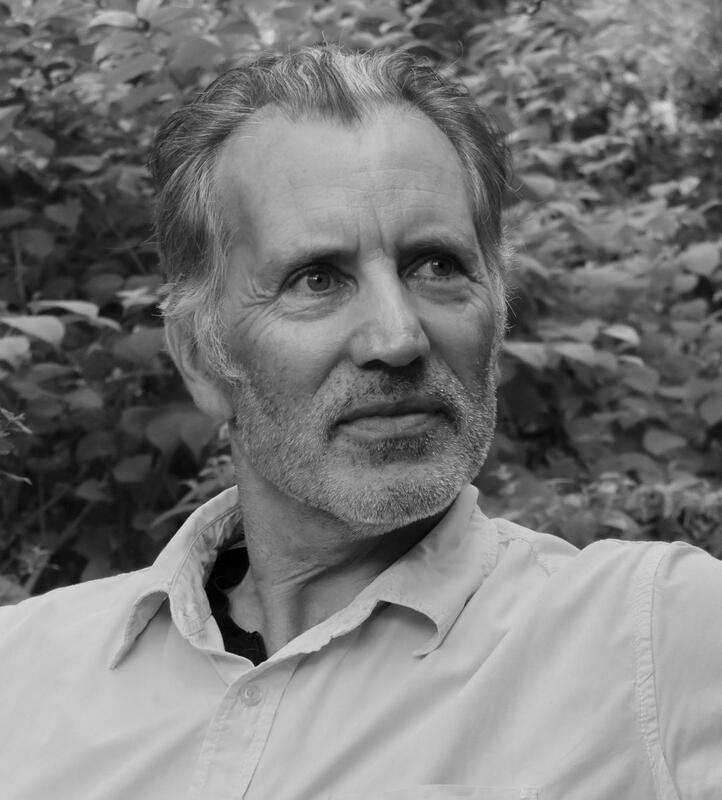 He is the editor of Four American Poets (The High Window Press) and a co-translator of Alain-Fournier:Poems, Carcanet in 2016. 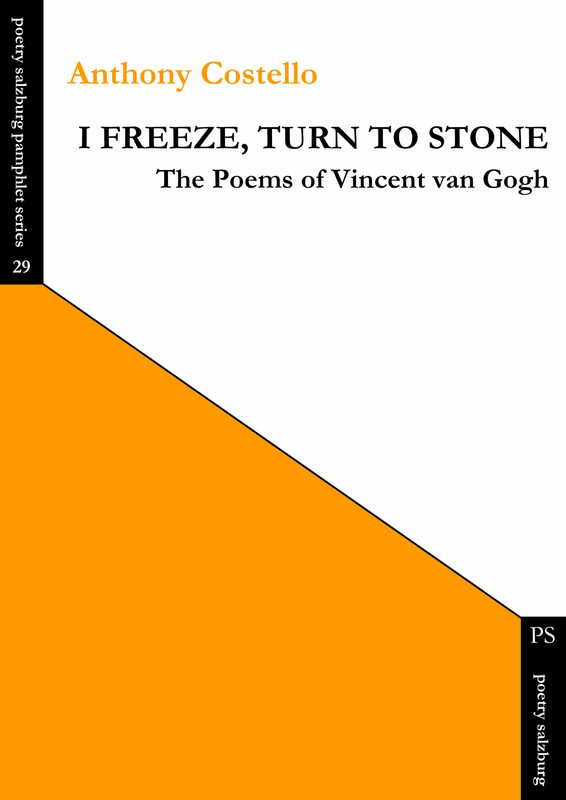 Anthony’s pamphlet I Freeze Turn to Stone: The Poems of Vincent van Gogh is newly published by Poetry Salzburg (2018). Anthony is co-editor of The High Window.